Employees at The Kiln, open this quarter, prepare custom pizzas. The Kiln replaced North Shore Pizza Co. in the Norris University Center. 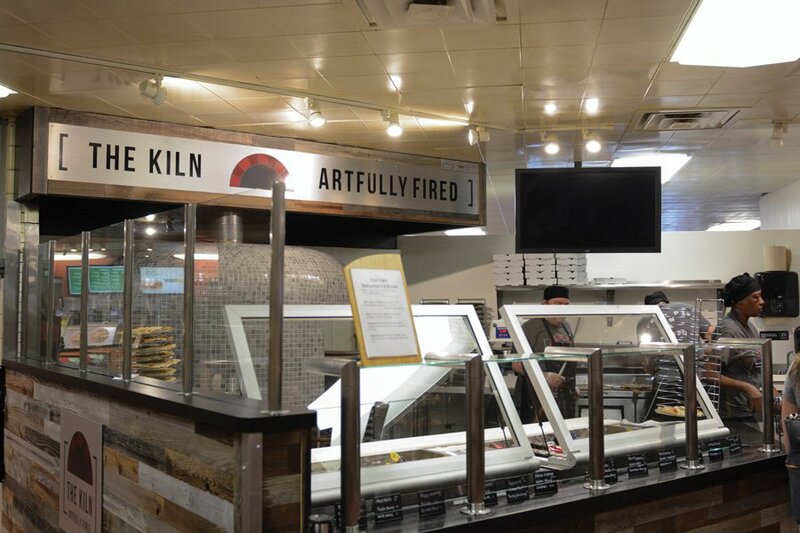 Norris University Center’s newest dining location, The Kiln, replaced North Shore Pizza Company this quarter and is set to offer students custom pizzas in about two minutes. Jeremy Schenk, executive director of Norris, said he noticed students preferred personal pizzas rather than those pre-made by the slice. The Kiln’s hours are also appealing to students because the restaurant is open until 11 p.m. every day, Schenk said. The Kiln’s speedy service also accommodates students’ busy schedules, Schenk said. During one of its first days of operation, the restaurant served 127 pizzas for lunch in less than an hour, he said. Schenk said he worked with Buzz Doyle, general manager of Northwestern Dining, and other University dining partners to create The Kiln over the summer. The Kiln features a new pizza oven that can reach 900 degrees and ingredients to entice customers, such as gluten-free crust and vegan cheese, Schenk said. Doyle said he was inspired by Blaze Pizza when creating The Kiln. However, he also said the idea stemmed from creating a unique, fun pizza option for students. First-year McCormick graduate student María José bought a pizza from The Kiln on Wednesday and said she enjoyed the variety of toppings The Kiln offers. Schenk said they plan on adding more to The Kiln in the future such as seasonal and limited-time pizza toppings. He said the goal is to keep it innovative and enjoyable for students.